E. Dorothea Proud, daughter of Cornelius Proud and Emily Good. B.A. (1906), D.Sc. (1916), C.B.E. 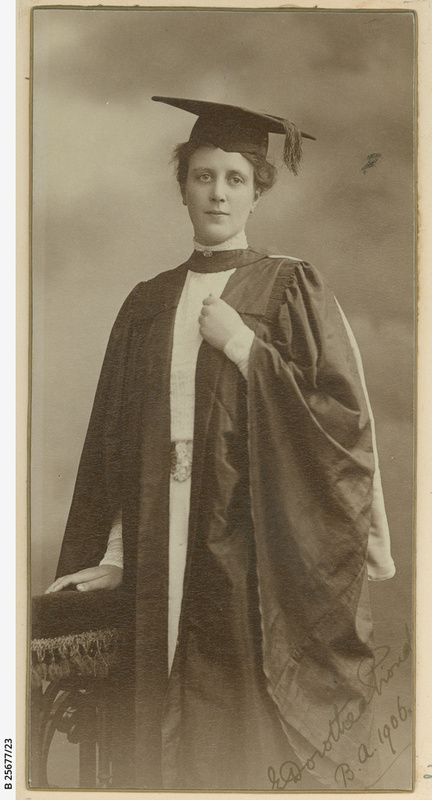 (1917), graduate and former student of the Advanced School for Girls. This image has no known copyright restrictions.